Roller Derby Inside Track is one of my favorite roller derby blogs. It has derby news from around the world and lots of articles with thoughtful commentary. 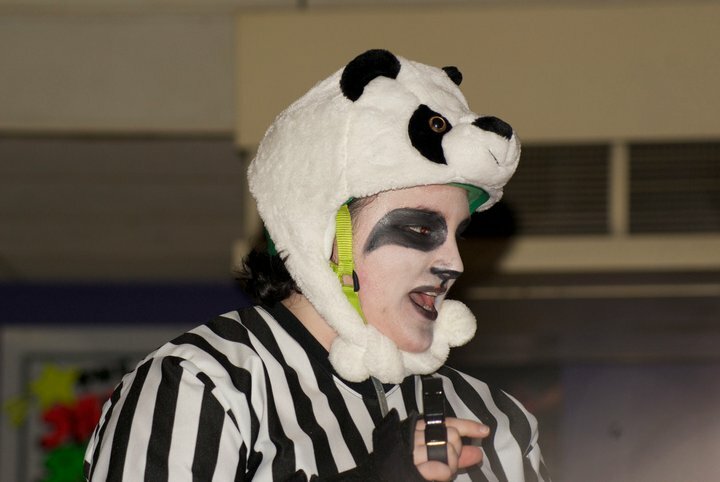 A photo of one of our new referees, Pamda Bear, was highlighted as an interesting photo for their January Roundup! Love the makeup, Pamda Bear! Pamda Bear. Photo by Pete Rodriguez. Oh, and PS - RDIT picked up my Bacteria Move in Derby Direction post in their February 10th weekly round up. Just sayin'!